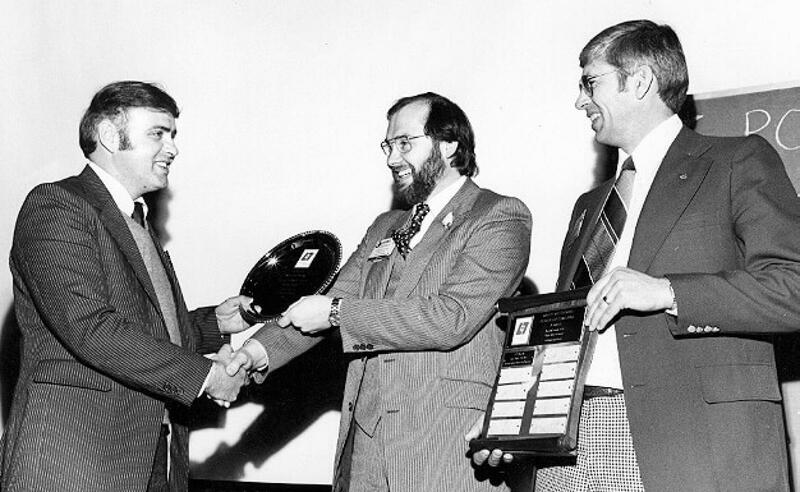 Waterloo Chapter president, Howard Gallup (left), accepts the first Membership Challenge Award back in 1979 from LO Executive Director, Dennis Souder, as chapter member, John Wright looks on. Plans are underway to mark the 40th anniversary of the formation of Landscape Ontario’s Waterloo Chapter. The chapter is looking for anyone who has photos of events, members or projects within the chapter over the past four decades to submit photos for the occasion. If you have any images, stories, or historical information to share, please contact Steve Snider, Snider Turf & Landscape Care, at steve@snidertlc.com or 519-220-8333.